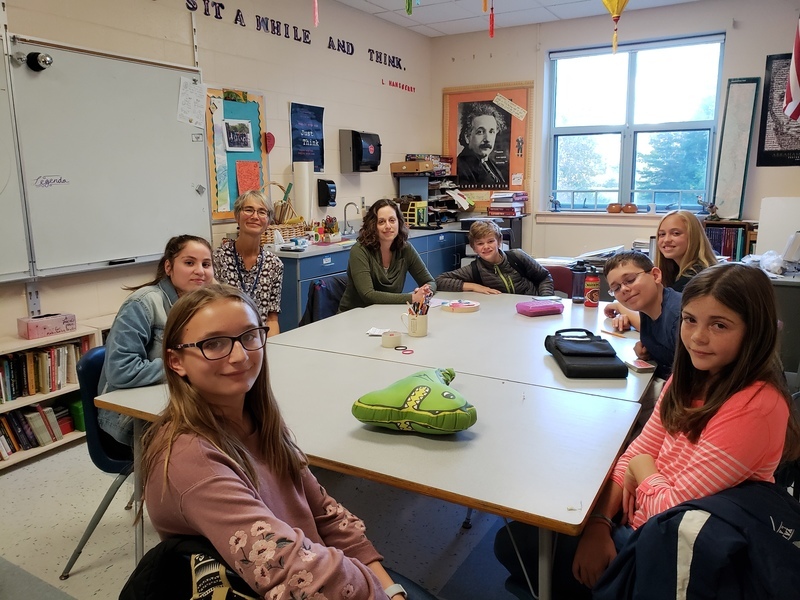 This year's Civil Rights Team is hard at work, having attended a recent, state-wide conference, and welcomed guest speaker Amy Sneirson to HMS. Ms. Sneirson works for the Maine Human Rights Commission. 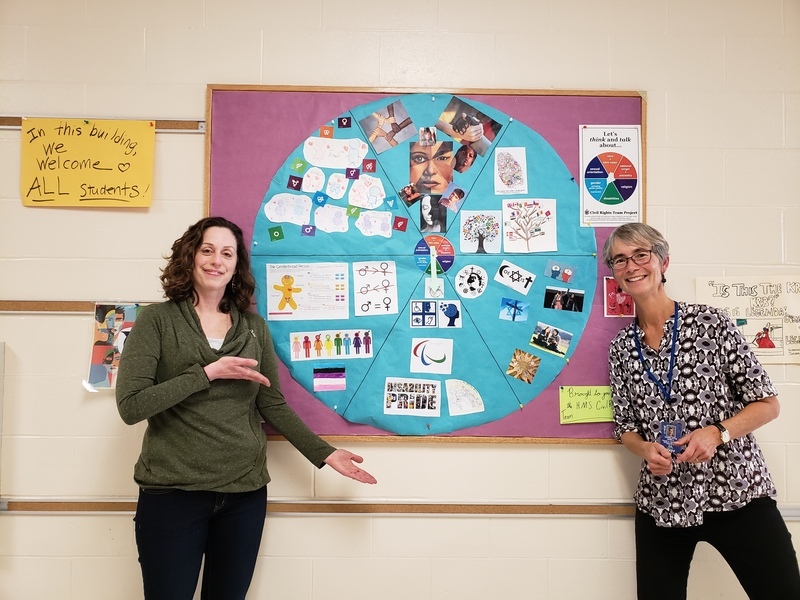 She joined a HMS Civil Rights Team (CRT) meeting on October 1, to talk with members about the six categories that are protected under the Maine Civil Rights Law. These categories include Gender (identity and expression), Race/Skin Color, Religion, Sexual Orientation, Disabilities (Physical and Mental), and National Origin/Ancestry. Ms. Sneirson shared examples of court cases from each category, here in Maine. 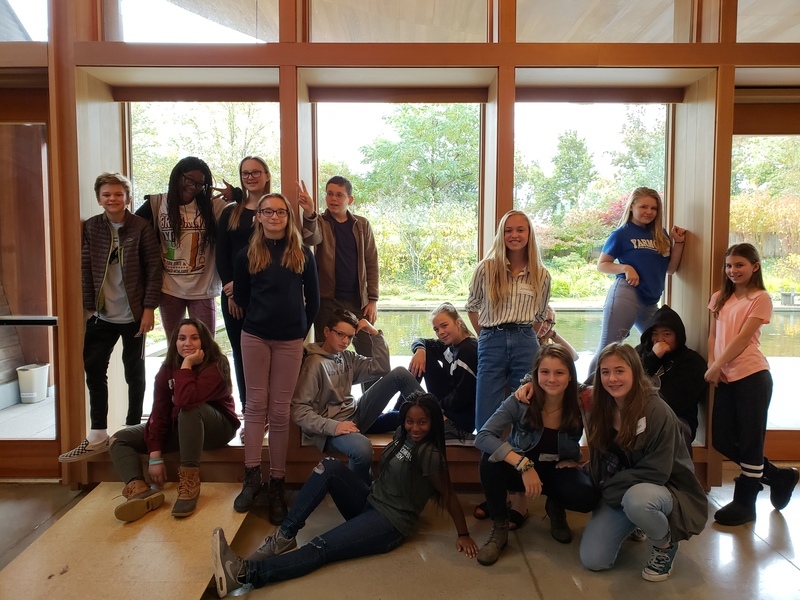 These examples brought a clearer understanding of the Maine Civil Rights Law to the CRT members, and reinforced their mission of getting schools to think and talk about these categories. Thank you Amy, for taking time out of your busy day to share your expertise with our HMS CRT!